The State archive of Siena is located in the Palazzo Piccolomini, by the beautiful central square, the Piazza del Campo. It contains thousands of files that document the economic, political, social and artistic life of the city. Among them are treasured examples, such as the last will and testament of Boccaccio and the breath-taking painted medieval Biccherna tablets, which are on display at the archive’s museum (Museo delle Biccherne). 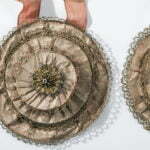 I have been working in this archive for years, but this time I returned with a new goal, to carry out systematic research in dress, clothing and fashion across household inventories in 1550-1650. Together with our new research assistant, Stefania Montemezzo, we are on a mission to find out how ordinary Italians’ fashion changed in this period, and what were the key agents of fashion change at the lower social levels in Siena, Florence and Venice! 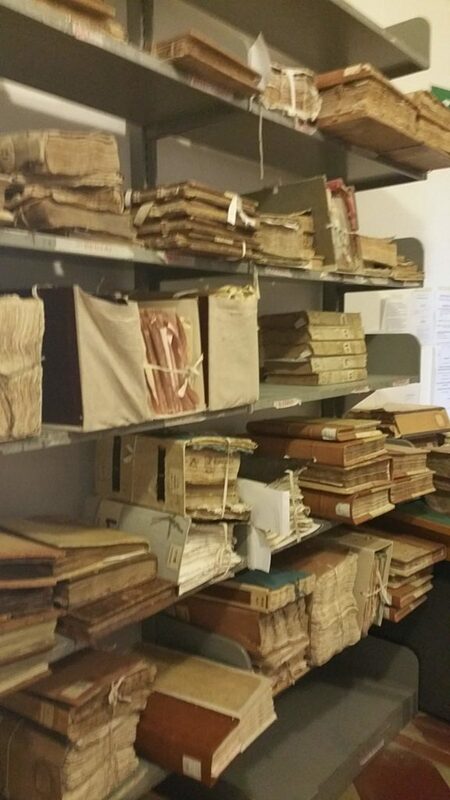 Records at the State Archive of Siena. 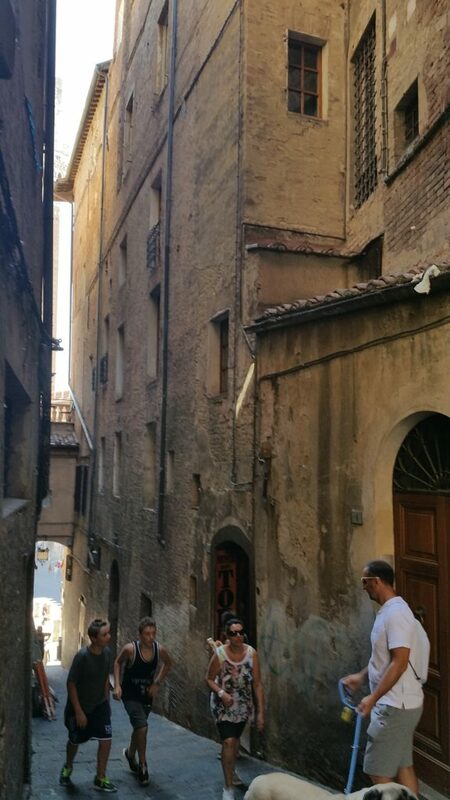 I also visited some sites that were connected with Renaissance artisans, such as the narrow street, Vicolo del Bargello, that leads out of the Piazza del Campo. 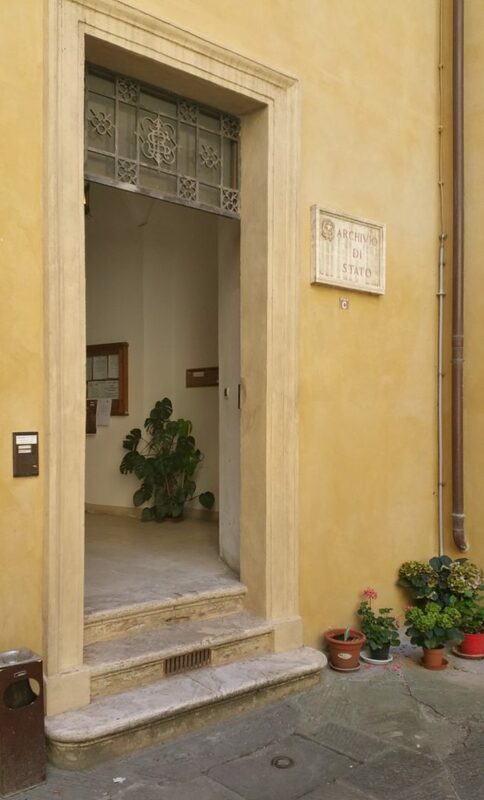 This is where one of my Renaissance shoemakers, Giovanni di Domenico, held his shoeshop in 1550s.